For centuries Venice has attracted tourists by sea. Its location at the crossroads of the Roman and Byzantine Empires made it the center of sea trading. Visit the Venice sightseeing page for more information about Venice hotels, Venice restaurants, and Venice sightseeing highlights. 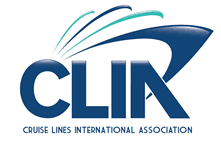 Of course, all the cruise lines have cruises from Venice. ItalianTourism.us guarantees the lowest cruise price and more amenities and on board credits when booking a cruise around Italy from Venice. These are exclusive Venice cruise deals direct from the cruise lines. You will not find lower priced Venice cruises anywhere. PLUS our Venice cruise deals include free amenities: call 800-227-1577 or book online – we guarantee the free amenities and the lowest Venice cruise price. From Venice Marco Polo Airport to Piazzale Roma and the Venice cruise port are about 25 euros. To arrange your own Venice transfer click here. 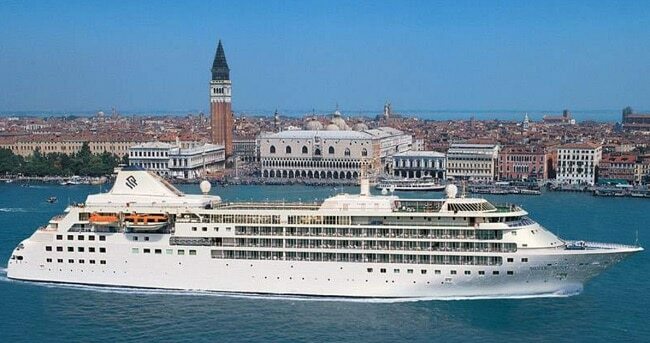 Private transfer arranged by ItalianTourism.us between Venice’s cruise port and Mestre and Tessera is about 45 euros. Click here to send us a request for a private transfer. Venice is tricky for travelers because that which makes it beautiful and magical, and attracts tourists, also makes it difficult and expensive for travelers to traverse. Yes, Venice’s canals are only navigable by boat. Little alleyways, cobblestone streets, and tiny bridges may be navigated by foot. Boat and foot are your only options. There are no 4-wheel taxis and buses allowing tourists an easy in and out with baggage. Thus, when traveling to or from Venice for a cruise travelers need to be strategic about their hotel choice. For cruise travelers spending a night in Venice it is logical to stay around Piazzale Roma, which is just across the bridge on Venice island. It is close to the cruise port. It is also located at the top of the Grand Canal so you can easily take the vaporetto down the Grand Canal to enjoy Venice’s sightseeing highlights. Venice Mestre is located on the mainland and is the gateway to the hundreds of islands that make up Venice. The causeway from Mestre to Venice’s Piazzale Roma is about 2.6 miles. There are various ways to travel between Mestre and Piazzale Roma. A convenient and inexpensive option is the T1 Tram. You may also travel by bus or taxi. You may also take the train from Mestre to Venice’s Santa Lucia station, which is located at the top of the Grand Canal. Venice Mestre is also convenient location to explore Padua, Verona, Vincenza, the hills of Treviso, Asolo and the Venetian villas of the Riviera del Brenta. Click for a map of Mestre hotels on Booking.com – the guaranteed lowest price on Venice Mestre Hotels. Piazzale Roma is located at the top of the Grand Canal. It is the last point that buses and cars can reach before the Venice canals. From Piazzale Roma travelers transfer to boats to travel into Venice’s islands. The following hotels are located close to Piazzale Roma, but do require walking and crossing footbridges. Click for a listing and map of hotels near Piazzale Roma.